When Julia was about a year old she discovered the joys of fresh blueberries. Ever observant, Julia called them “boo bawls” as they rolled back and forth on her highchair tray. Even at 1 year old, my girl nailed it- blueberries are blue and they are ball shaped and they were (and I think are) a fun food. She has loved them ever since. But, while she has loved raw blueberries, she has steadfastly refused to eat blueberry muffins. 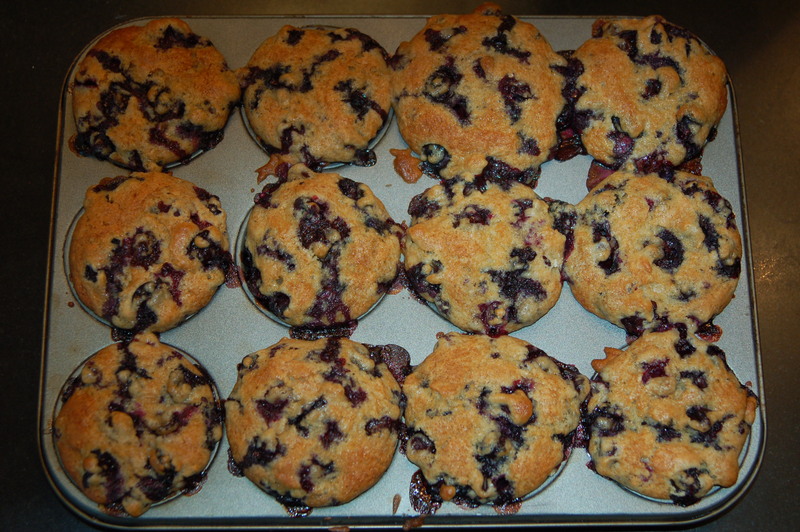 Now, I have to say, I make a mean blueberry muffin; and, I think that there are few things better in the summer than a fresh baked blueberry muffin. But still, no amount of coaxing and prodding from me could seem to convince her that this baked blueberry treat was a delicacy she would like. That is, until this past weekend. Julia and I went to the Farmer’s Market on Saturday. Between all the lettuce and cilantro, beets and basil, there were rows of farm fresh blueberries- just picked and fabulously plump. They were simply beautiful. I had to have them and I had to have enough to make muffins as well as just eat. We got home and I convinced Julia that I could not possibly make the muffins without her. She and I immediately cracked some eggs and got to work. About 45 minutes later beautiful muffins appeared from the oven. Julia could not wait to taste her handiwork. We let the muffins cool slightly and then I gently spread some butter on hers. She bit in. A big smile appeared on her face, and with a full mouth so that she sounded a bit like herself as a baby, she said “mmmm…boo bawls make gweat muffins!” I could not agree more! Preheat oven to 375 and grease muffin pan. Combine the dry ingredients with the wet ones and mix together. Place in muffin pan and bake for 25-30 minutes. 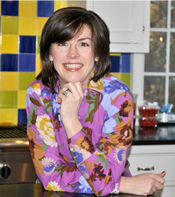 This entry was written by Caroline, posted on July 8, 2010 at 3:00 pm, filed under baking, breakfast, brunch, comfort food. Bookmark the permalink. Follow any comments here with the RSS feed for this post. Post a comment or leave a trackback: Trackback URL.